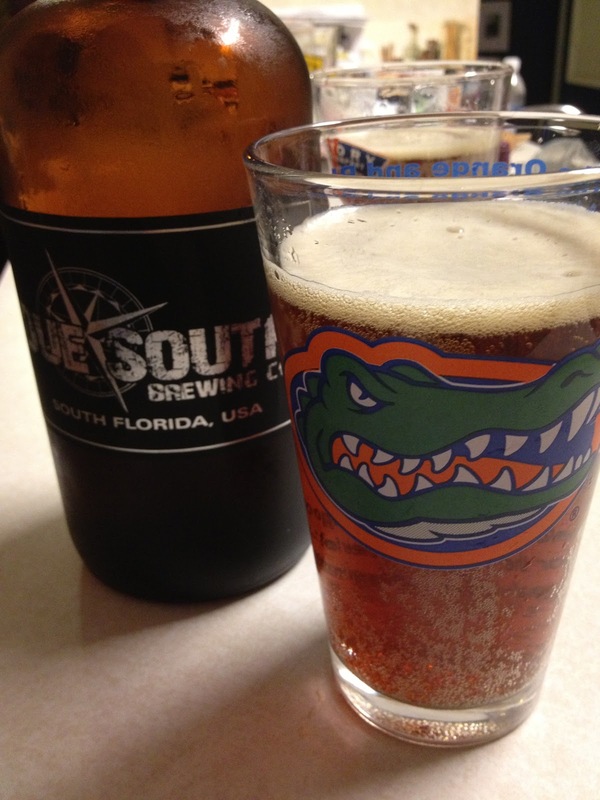 I had business in South Florida this week, and made a point to stop by a brewery on my travels. On my way back toward Orlando, I stopped in for bit at Due South Brewery. While chatted with Lisa and patron Bob, I tried their Southern Saison and sampled a few others (Cat 3 IPA, Cat 5 IPA, and Roasted Cocoa Stout), and then bought a growler "to go" with their Caramel Cream Ale. The 32oz bottle is better drunk on the weekend, so we cracked it open with dinner tonight. The amber color is quite nice, and the mouth feel is very smooth. Quickly evident are the caramel notes in this beer, with the vanilla flavor following and making a nice refreshing finish. In fact, it is natural vanilla only that is added. All in all, it is rather sweet, and reminiscent of cream soda, but without the overpowering sugar sweetness. I enjoy this beer. 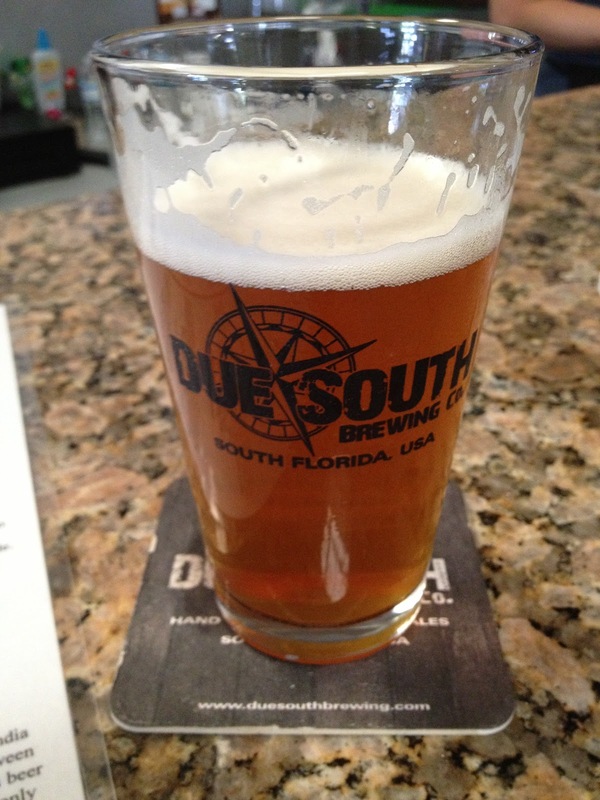 Due South opened up in May 2012 in Boynton Beach. It is basically a warehouse brewery with a bar and taproom, but very welcoming. A little warm, but the 90 degree weather and the fact that I was there at 3:00pm didn't help any. Check them out here and if you are up and down I-95, stop off at the Gateway Exit in Boynton. They are 5 minutes from the highway. 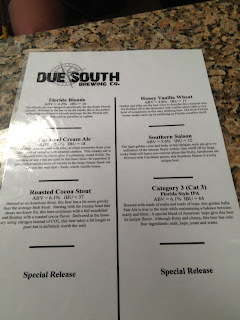 It wasn't until a few miles down the road that I realized their IPA names correspond to hurricane strengths. Category 3, Category 4 and Category 5, with more intense IBU and ABV at each increasing level. Nice!